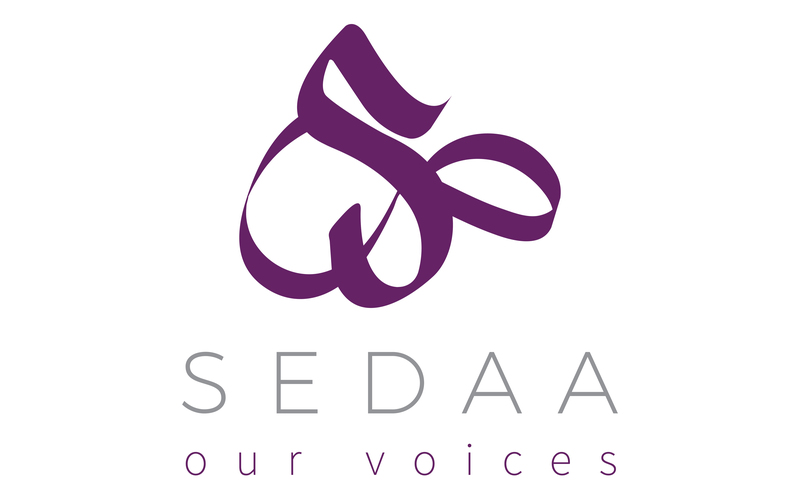 Sedaa – which means voice – is a platform which will feature writers of Muslim heritage. We use the term “of Muslim heritage” because we seek to bring together both those who identify as Muslims, and those who have left the religion. We have set up this website to critique religious extremism, reactionary cultural attitudes, and problems caused by moral relativism in our society. We believe that Islamists and their fellow travellers and apologists must be challenged and opposed. At the same time, as people with Islamic heritage, with Muslim family and friends, who have experienced discrimination ourselves, we are also aware that anti Muslim bigotry is a reality and so we will strive to challenge this too. We will seek to negotiate the issues we face with fairness and sensitivity. Too often a free and unchallenged platform has been given to those who wish to portray extreme views as “normative” Islamic beliefs, and that they should thus be immune from critique. This comes, intentionally or otherwise, at the expense of abandoning liberal and democratic values and side-lining progressive and secular voices from within Muslim communities who are, and have been for many years, standing up to the fundamentalists. Many of those voices are not being heard because they are not seen as ‘authentic’ or ‘representative’. Dissenters are silenced by being cast as ‘traitors’. Often, wider society either looks away, or sides with the reactionary forces within our communities because of fear of causing offense. By accident or design, often through a misguided notion of multicultural taboo, liberals and leftists can become complicit in double standards and oppression. Often, these issues can be difficult to speak about, and in some cases can lead to threats to personal safety. We accept that misogyny and extremism exist in all societies. We always stand in solidarity with those who challenge reactionary values and practices. We are not self-proclaimed ‘experts’ but our background means we can highlight the issues within our own communities. The jihadist terrorist atrocities in Brussels and Paris are a reminder of what is at stake. We wish to challenge underlying issues affecting our communities, ideologies that foment extremist religious hate, as well as the collective guilt assumptions that are too often made about Muslims and extremism. Where do you stand with regard to this judgement summary by the European Court of Human Rights on sharia law? Noting that the Welfare Party had pledged to set up a regime based on sharia law, the Court found that sharia was incompatible with the fundamental principles of democracy as set forth in the Convention. It considered that “sharia, which faithfully reflects the dogmas and divine rules laid down by religion, is stable and invariable. Principles such as pluralism in the political sphere or the constant evolution of public freedoms have no place in it”. According to the Court, it was difficult to declare one’s respect for democracy and human rights while at the same time supporting a regime based on sharia, which clearly diverged from Convention values, particularly with regard to its criminal law and criminal procedure, its rules on the legal status of women and the way it intervened in all spheres of private and public life in accordance with religious precepts. I see this has pissed off Dilly Hussain, who has taken to advertising it. Any publicity is good publicity I hope. Excellent- an exciting and much needed forum for progressive voices from Muslim backgrounds, at a time when the internet is dominated by the bigotry of angry right wing men – both white and Islamist. Bringing together all your voices could be the start of a brand new movement to counter racist assumptions of who is ‘authentic’ enough to speak on matters related to Muslim communities. Fantastic batch of opening articles, and I look forward to more. Will you be taking on the Henry Jackson Society and Harry’s Place ? I recognise your name.If you are rattled by this website then I am very glad to subscribe to it. Why would they want to ‘take on’ a group and a forum that are willing to criticise Islamism?